For the past decades of economic globalisation, unions around the world have been on the defensive; their role as voices of the political and economic interests of working people has been marginalised. 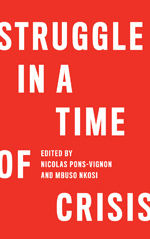 In a climate of outsourcing, offshoring, flexibilisation and casualisation of work, the loss of union power and the deregulation of labour markets has flourished and opened the way for increasing precariousness and agency work - the "triangular trap". While continuing to fight to protect their hard-won regulatory instruments within their national domains, trade unions have also begun to look for transnational approaches to combat unfettered international competition that is fed by a race to the bottom over labour costs. The challenge is in developing a strategy that will serve as a political and organisational answer to the dilemma they face – namely, how to bring the power of unions, as locally or nationally organised entities, to bear on the transnational regulation gap in labour relations. I would argue that the most important tool unions have devised for this task is the global framework agreement (GFA). In contrast to the unilateral and voluntary character of corporate social responsibility (CSR) measures, GFAs are bilateral, negotiated and signed as a policy document between transnational corporations (TNCs) and Global Union Federations (GUFs). Based primarily on the International Labour Organisation’s (ILO) Core Labour Standards and other ILO Conventions, they lay a foundation for conducting labour relations in a delineated space or arena, that is, throughout the operations of a TNC and its global production network of suppliers, sub-contractors, and other business partners. GFAs also include mechanisms for monitoring and internal procedures for conflict resolution. During the 1970s, efforts at bringing the collective voice of labour into the TNC power equation through world company councils failed – ignored by the TNCs they were supposed to influence. Attempts at regulating TNCs through lobbying at international institutions have been largely ineffective as the unsuccessful bid to anchor a “social clause” in the WTO in the 1990s demonstrated. Instead, global unions met TNCs head on, responding to the spread of corporate codes of conduct and unilateral CSR policies with GFAs. And since 2000 – more than a decade after the first GFA was signed – the number has grown exponentially; today there are more than 90 signed agreements, of which 85 are currently active. In a three year multinational research project funded by the union-supported Hans-Boeckler-Foundation in Germany, we analysed all 73 GFAs signed before 2011 and took a sample of 16 of them for case studies. All 16 agreements were signed with corporations headquartered in the European Union (EU) and with subsidiaries in four countries from four different continents with different national systems of labour relations and different positions in the global division of labour: Brazil, India, Turkey and the USA. GFAs are a milestone initiative. But as our field research shows, and as many of the critics have pointed out, there are still miles to go. In all four countries we found a widespread lack of implementation. This can be explained by a combination of factors. While implementation is left up to local actors, these representatives of labour and management are rarely directly involved in the negotiation of GFAs. Thus, they lack a sense of "ownership". Secondly, the existence of GFAs was largely unknown among managers in TNC subsidiaries and in the local trade unions. Often, the agreement had not been disseminated to the subsidiaries, or if it had been, its significance as a joint labour-management policy regulation, applicable throughout the corporation, had not been adequately conveyed to the local actors. When unions did know about the GFA, they generally had no understanding as to how they could use the agreement to gain recognition and to support a bargaining agenda. For its part, management preferred to disregard the joint labour-management character of the agreements and to unilaterally incorporate its provisions into its CSR agenda. Finally, we found most local unions, if active at all internationally, were only tentatively or very weakly linked to unions in other countries or to the GUFs. However, at the same time, we found evidence of GFAs being successfully used in single cases. They differ from the cases with poor or no implementation because unions used this policy instrument strategically, prioritised its implementation, and mobilised the necessary resources. Unfortunately, this kind of approach is more the exception than the rule. Indeed, some emphasise that it is imperative for the GUFs together with their affiliates to begin moving beyond the current stop-gap, case-by-case crisis management approach to a more pro-active strategic policy. By strategy, I mean unions need to improve the quality of GFA content. Many agreements in existence today are vague and easily open to widely differing interpretation. Verbatim incorporation of the ILO Core Labour Standards is absolutely basic. Additional ILO Conventions such as workplace representation or health and safety add significantly to the quality. Rarely used up to now but equally essential are guarantees of management neutrality toward union organising drives and regulated access to the workplace for unions. Furthermore, the relationship between global norms and national laws needs to be more explicit: The most stringent standard must prevail. Secondly, GFAs need to define clearly the arena of their applicability as extending coverage beyond the immediate boundaries of the TNC to cover the whole global production network. Union policy that stops at the organisational boundary of a TNC is too limited; it needs to include the whole system of suppliers, sub-contractors, service and sales units and – increasingly – manpower services. Only then is there a possibility of leveraging union strength and linking local institutional settings of labour relations. As for the actors involved in the GFA process, in the past, negotiations have been conducted by GUFs, by home country unions and sometimes by works councils – and not always in harmony with each other. Handing over negotiations to works councils is highly problematic in regard to the recognition and implementation of a global agreement between autonomous actors. Instead, I argue that mutual recognition means management negotiates with the GUF, and that there is a plan for involvement of GUF affiliates and local management, the ones responsible for implementation. The procedures anchored in the agreement need to define implementation as a joint task, starting with joint information and communication, extending to joint training programmes and rounding out the process using joint reviews and initiating the implementation of organisational practices that reflect the principles of the agreement. Having a GFA is an important step, but without implementation it remains powerless. A complementary step in a global union strategy is to build transnational union networks. To be effective, such networks must have clearly defined goals, including initiating, negotiating and implementing the GFA, organising "ownership" of the agreement throughout the union network, raising the leverage potential of local/national affiliates, using the GFA as a space to organise, and building and strengthening cross-border cooperation and solidarity. And they must be organised along clear principles of governance. That requires having defined leadership structures constructed around the GUF or a key affiliate, agreed priorities and assigned division of responsibilities, and a full commitment of resources. GFAs are not a strategy in themselves. Nor does their signing per se create new, transnational arenas of labour relations. Without active, focused and coordinated union input, they remain dormant. Transnational union networks can make them into a tool for developing a strategy of union voice in TNCs and among their far-flung suppliers, sub-contractors and other business partners. In the past, the tendency was to regard implementation of a GFA as a management prerogative. But this makes it very difficult to get local unions at the subsidiary and supplier level involved. GFAs are a joint labour-management statement and as such need to be jointly implemented. Ownership comes through common strategy. Building participation through transnational union networks during negotiations is a precondition for strengthening implementation. GFAs have opened the way for unions to engage TNCs on a global level. And the realisation has spread, that such agreements can be successfully used to organise unions and gain recognition. Building union cooperation and strength around GFAs is potentially a means of concentrating union resources in a defined arena as a basis for moving toward a comprehensive transnational political strategy for global labour relations. IndustriALL (2012) ‘The Triangular Trap: unions take action against agency labour’, Geneva: IndustriALL. Fichter et al. (2012) ‘Globalising Labour Relations. On Track with Framework Agreements?’, Berlin: Friedrich-Ebert-Foundation. For Brazil: Arruda et al. (2012) ‘International Framework Agreements – a powerful tool for ensuring Core Labor Standards in a globalized world? Insights from Brazil’, Friedrich-Ebert-Foundation. Space restrictions prohibit including case descriptions. For several examples see Fichter and Helfen (2011) ‘Going local with global policies: Implementing international framework agreements in Brazil and the United States’, in K. Papadakis (ed) ‘Shaping Global Industrial Relations. The Impact of International Framework Agreements’, Houndsmills: Palgrave Macmillan. pp. 73-97. 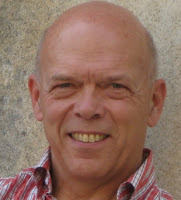 Michael Fichter is a Political Scientist and on the teaching staff of the Global Labour University in Germany. He has done extensive research on global labour relations, including a recently completed research project on global framework agreements.